The big news in the world of comics festivals in Canada today is that the young Vancouver Comic Arts Festival has become part of its Toronto inspiration, TCAF. It was announced last week that VanCAF has joined “the TCAF family” in a formal sense, meaning that the Vancouver festival, which takes place just a few weeks after Toronto, will be run as a direct sequel to the Toronto show, with much of the same Toronto staff being responsible for organizing both. 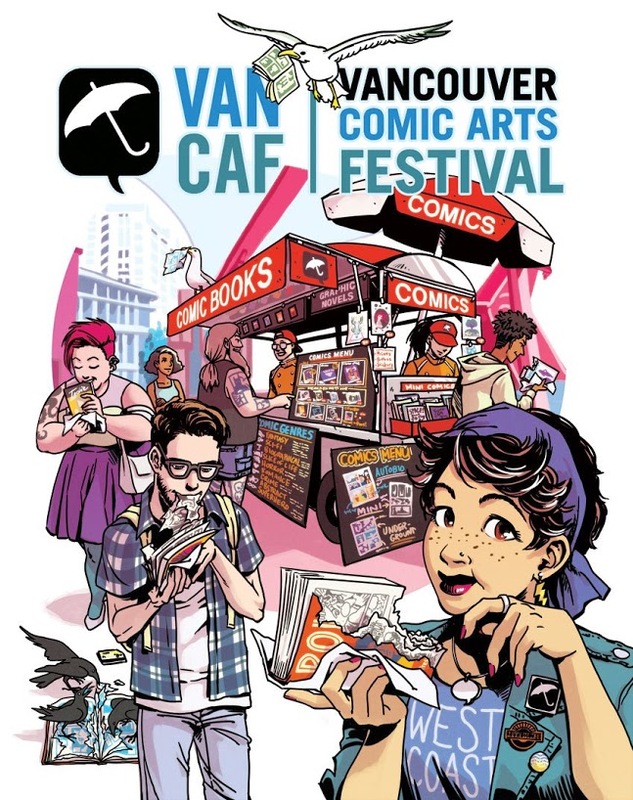 According to a press release, “TCAF’s staff will directly oversee all future iterations of VanCAF, under the stewardship of the new VanCAF Festival Director, Andrea Demonakos. Demonakos, previously of Emerald City Comicon and ReedPOP, takes over from departing Festival Director and VanCAF founder, Shannon Campbell. The 2017 VanCAF is scheduled for May 27 and 28.